Let us venture into this claimed "debunking" by the Chairman of the House Veterans Affairs Committee and debunk the FUBAR! In 1998, VA’s budget was $42.38 billion. 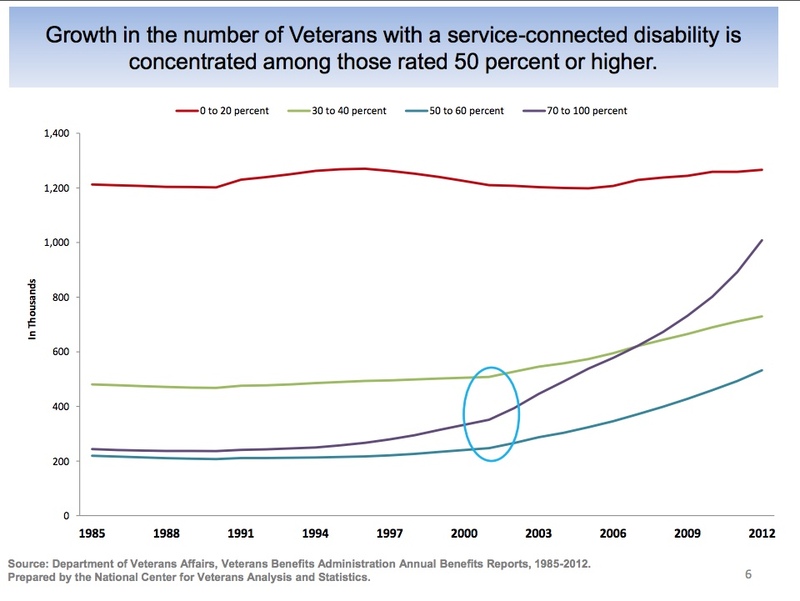 Considering that WWI, WWII, Korea, Vietnam and the Gulf War were over, Congress didn't seem to be too concerned about two more wars adding more disabled veterans into the system. Gee, do you think they would have planned for them when they sent them? We had aging veterans seeking healthcare from the VA, some for the first time even though they had service-connected disabilities, some were too poor to pay for their care while not connected to their service, and the newer veterans being offered free healthcare for the first 5 years after discharge. 173 medical centers, 39 domiciliaries, 376 outpatient clinics, 131 nursing home care units, and 205 Vietnam Veteran Outreach Centers in the United States, the Commonwealth of Puerto Rico, and the Republic of the Philippines, and provides for similar care under VA auspices in non-VA hospitals and community nursing homes and for visits by veterans to non-VA physicians and dentists for outpatient treatment. It also supports veterans under care in hospitals, nursing homes, and domiciliaries operated by 35 States. 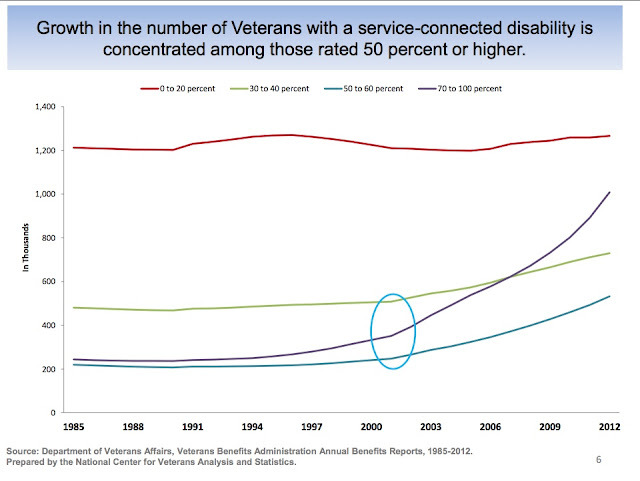 These charts from the National Center for Veterans Analysis and Statistics will show the increase in the number of veterans in the system. This is the background on the "Choice and Accountability Act of 2014"
Military Times reported in 2017, the "Choice Program" was running out of money. The program balance dropped from $2 billion at the start of March to less than $850 million this month. As a result, VA officials are asking to move around money from other outside care programs to cover the Choice program, the opposite problem lawmakers anticipated when they passed the extension. Committee ranking member Sen. Jon Tester, D-Mont., called the news upsetting. "For this to happen this late in the game is frustrating to me," he said. The news came as Shulkin presented Trump's plans for a $186.5 billion VA budget for fiscal 2018, nearly a 6 percent increase from current funding levels. The VA secretary said that includes $13.2 billion for outside care programs next year, a figure he says should be sufficient to meet department needs. So, while you will read about how much more money the VA is getting, consider how much of that money is going into the "Choice" veterans did not want to have to make...because Congress did not do their jobs after all these years! There is no effort underway to privatize VA, and to suggest otherwise is completely false and a red herring designed to distract and avoid honest debate on the real issues surrounding Veterans’ health care. In 1998, VA’s budget was $42.38 billion. VA’s 2018 enacted budget is more than four times that figure at $188.65 billion. 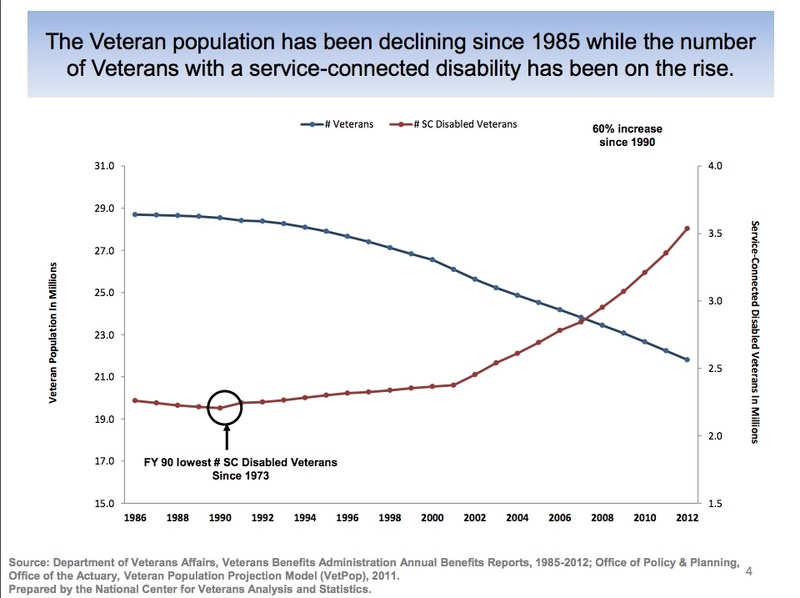 In 1998, VA had 240,846 employees. As of March 29, 2018, VA had 385,233 employees, a nearly 60 percent increase in 20 years. VA has increased its end strength by nearly 15,000 since the beginning of the Trump administration, from roughly 370,000 to 385,233 as of March 29, 2018. 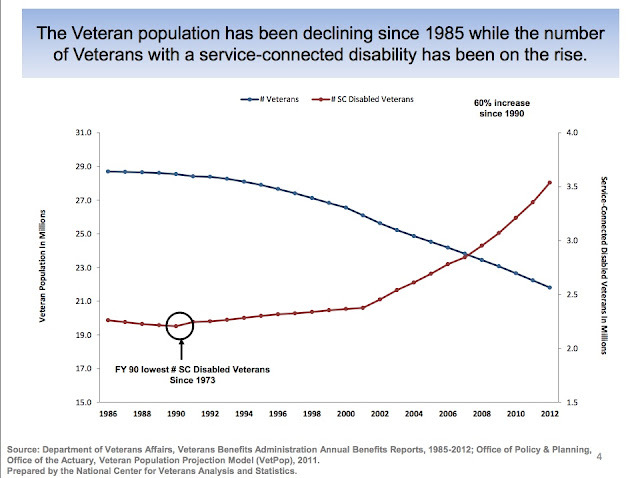 In 2000 VA had 1,110 medical facilities. Today, VA has 130 more medical facilities, for a total of 1,240. VA has been offering community care since the World War II era, starting with the then-Veterans Administration’s Hometown Program that began in 1945. As former Secretary Shulkin said, "No health care provider delivers every treatment under the sun. Referral programs for patients to get care through outside providers (known as Choice or Community Care at the VA) are as essential to the medical profession as stethoscopes and tongue depressors." "If we’re trying to privatize, we’re not doing a very good job,"..."We’ve gone from 250,000 employees in the VA in 2009 to 370,000 employees, and we’ve gone from a $93.5 billion budget to what the president’s asked this year is $198 billion. 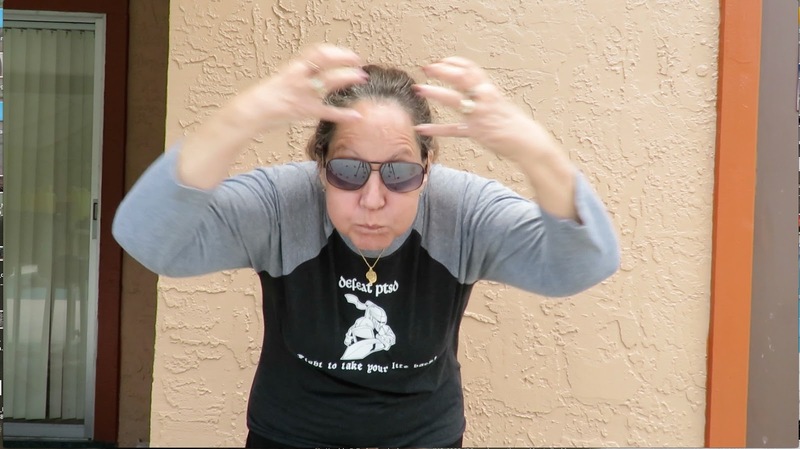 It sounds like we’ve been an utter failure if we’re trying to privatize." President Obama allowed Congress to start this mess, instead of making sure that everyone knew how disgraceful this response to the needs of our veterans was! Add this to that part. Roseburg VA Interim Director Dave Whitmer believes it would be safer for patients suffering nighttime medical emergencies to visit their nearest non-VA hospital instead. He said the VA does have highly trained emergency doctors on staff overnight, but because there are fewer ancillary services during those hours, the nighttime emergency department functions more like an urgent care than a hospital.